Located on Cincinnati Ave between Glosser Rd and West St, Extra Space Storage serves residents of Lebanon. 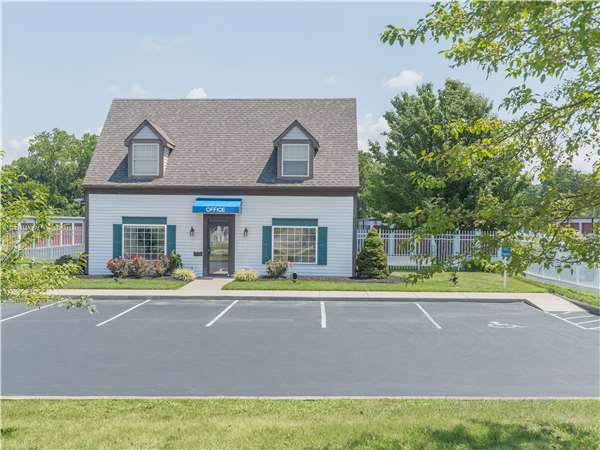 Locals will recognize our facility next to Shaker Inn and Concord Square Apartments. Extra Space Storage on Cincinnati Ave offers a large selection of storage units, climate-controlled storage, vehicle storage, and exceptional security. We're the easily accessible storage solution for you in Lebanon! Easy company to work with. The storage facilities are very clean. It's affordable and the first month was free on my unit. The manager was honest about the size I would need based off of the amount of furniture I said I was storing and she did not try to sell me more space than needed. She actually suggested I go with a smaller unit. I saved money and she was right. Facility is exactly as pictured, well maintained, convenient and the customer service is to a standard not maintained in today's society, A comfort and peace of mind, highly impressive. The staff was very helpful and couteous. We started out with a small unti. We changed to a larger unit due the amount of "stuff" we had to store We would recommend this company. Our daughter and her family have used this facility in the past. I've rated everything excellent except convenience. I would like to see this be a 24 hr access as sometime my work schedule doesn't coincide with the hours and there are times when I need things from the unit after 10PM. The store located in Lebanon Ohio has excellent customer service. It also is very clean, neat and organized. It has really great security, considering you have to punch in two codes in order to get through the gate. It's a very prompt location on the outskirts of town. Overall is a very great storage facility with low convenient prices. I'm am so pleased to be renting a storage unit from extra space facility. Since they have taken over the security at the facility has taken a 180 degree turn, I feel that my personal items are safe now, and the fact that the grounds are so much cleaner is A burden off my shoulders, before I had to worry about animals and critters possibly getting into my unit from the debri left by others, I no longer worry about that since extra space ensures that everything maintains a presentable appearance. And the customer service is the best I have ever come across, I would recommend their facility to everyone that I know that's looking for a storage facility I'm so pleased that I am renting from such a top notch facility. Drive south on OH-48. Cross Main St and continue onto S Broadway St/Cincinnati Ave. Turn right onto Silverwood Farms Dr. Our facility will be immediately on the right. Drive north on US-42. Cross Turtle Creek and continue straight. Turn left onto Silverwood Farms Dr. Our facility will be immediately on the right. Drive west on Wilmington Rd. Turn left onto Oregonia Rd. Turn right onto E Main St. Turn left at Lebanon Public Library onto S Broadway St/Cincinnati Ave. Turn right onto Silverwood Farms Dr. Our facility will be immediately on the right. Drive east on OH-63. Turn right onto West St. Cross Turtle Creek and continue straight. Turn right onto Cincinnati Ave. Turn right onto Silverwood Farms Dr. Our facility will be immediately on the right.